Pie Day? Pssssssht. Pie Day's for suckers. For true believers, every day is Pie Day. Because pie is one of the greatest and most diverse foods known to man. Want to make fruit better? Put it in a flakey pie crust. Chocolate cream? An entire GD roasted chicken dinner, complete with gravy, veggies and potatoes? Pie it. 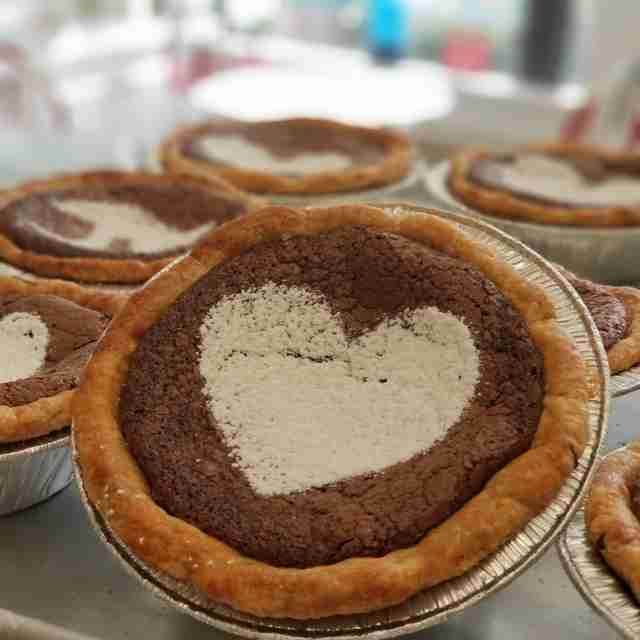 Pie is love, and the 21 places on this list have done their best to share that love with the world. You'll find fancy-pants new-school bakeries, old-school diners, holes-in-the-wall, baking empires, and everything in between. What do they all have in common? They're making the world a better place, one crust at a time. A few years back, Dave and Megan Miller (a ha! ), two of the founding partners from Chicago's rightly beloved Bang Bang Pie Shop split off on their own to get even deeper into the pie-making arts (and other grain-based endeavors), meticulously sourcing and milling (ah ha again!) local grain for a unique product that makes pie consumption feel about as nutritionally virtuous as it could possibly be. That's not to say you aren't still indulging yourself -- rotating options like peanut butter buckeye pie, deeply rich chocolate chess, and blueberry cheesecake swirl still unquestionably deliver on the "treat yourself" front. Just come back and get a grain bowl the next day. In Georgia, pie is a way of life, from the decadent finishing moves at classic Southern dining experiences like Mary Mac's to a new wave of chef-driven creations drawing global inspiration. But in up-and-coming Duluth, self-proclaimed pievangelist Briana Carson has spent the past decade turning Crave into an institution by embracing a wide spread of styles. Her chocolate bourbon pecan nods to Kentucky hooch and classes it up with Georgia pecans and Belgian sweets. 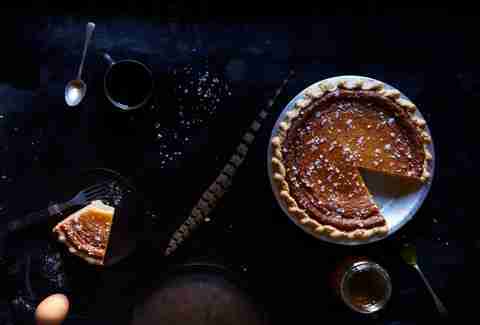 The South alive in everything from layered lemon and chocolate chess offerings to a duo of sweet potato pies (winter only). She even pays tribute to regional favorites like Key lime, Boston cream, and Hoosier pie. And savory comes correct with a superlative chicken pot pie holding court next to offerings that include bacon cheddar and sun dried tomatoes. 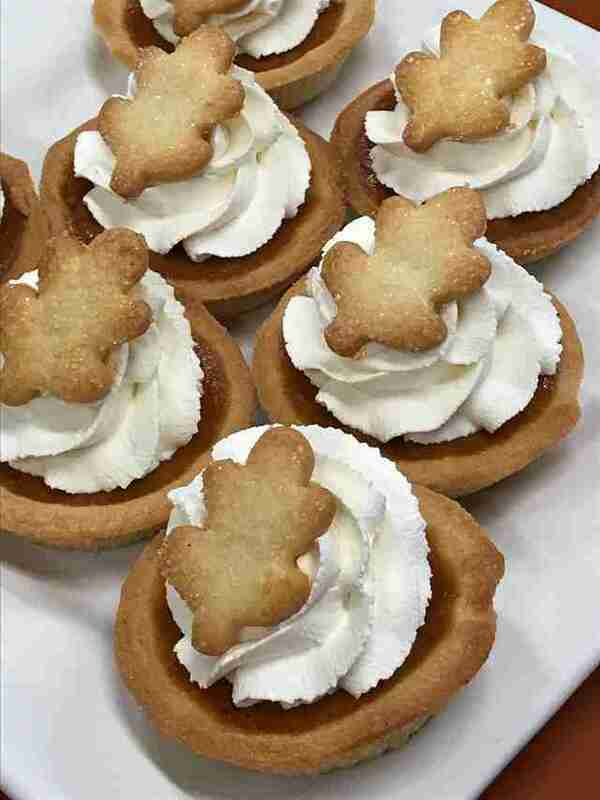 Even better, the pies are mini, so you can feel good about trying a few. Even better than that, Crave is next to Good Word Brewing, and pie and beer go together wonderfully. To use an unfortunate metaphor for a list like this, Seattle super-chef Tom Douglas has his fingers in a lot of pies: Inarguably the Emerald City’s most prominent restauranteur, Douglas runs everything from a pair of fancy pizzerias to taverns, pastarias, lounges, and upscale restaurants. 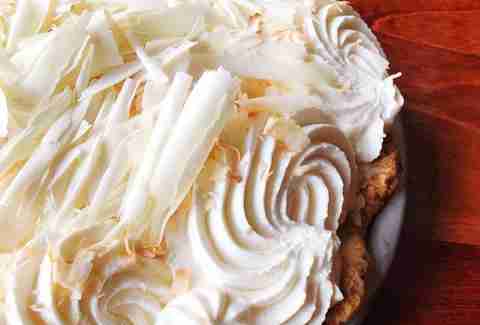 But one of the most famous dishes in his empire is an actual pie: specifically the Triple Coconut Cream Pie, which comes with coconut crust, shredded coconut meat, and toasted coconuts (along with white chocolate shavings on top of whipped cream). It’s probably the city’s most famous pie in the city, and would be Washington's if it weren't for Dale Cooper's obsessions at a diner up state. It's beloved by locals and Obamas alike. If that weren't enough. Dahlia also offers up a monthly seasonal to go along with the standards (March’s is key like), none of which actually have had the owners fingers in it. That was just a metaphor, weirdo. Founded by the frontman of a Baltimore band who honed his baking skills summering in Indiana with his grandmother and got his pie-slinging start selling slices at his band's merch table, Dangerously Delicious has become a full-on Baltimore institution with a pair of brick 'n mortar locations (and even a presence in nearby DC). You'll find sweet standards like lemon chess and coconut cream as well as more "dangerous" selections, if you will, like pineapple right-side-up and blueberry pancake. Don't sleep on the savory side of things, though, because they also serve up everything from ratatouille to pork BBQ in pie form. 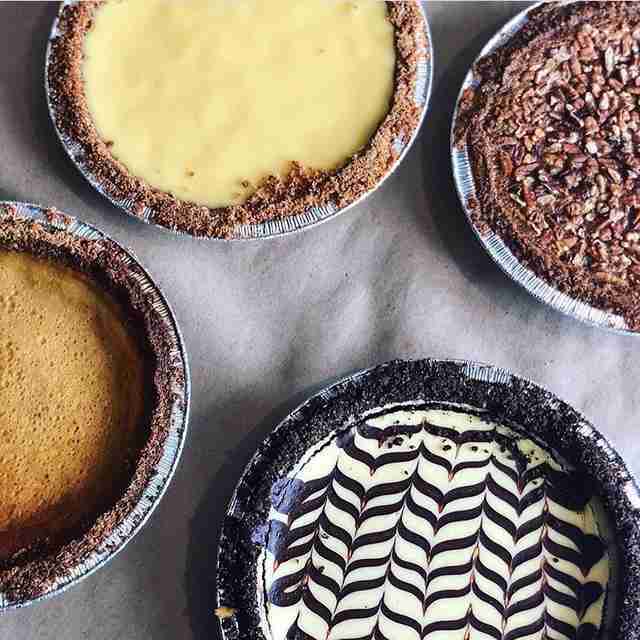 LA's got a rich tradition of diner and burger-stand pies, but pastry maven Nicole Rucker has helped give the pie scene a modern injection while nodding to classics with Fiona Bakery. Opened just last year, the place is a full-fledge restaurant that has served to only further cement West Hollywood’s Fairvax Ave. as one of the best places to eat on the West Coast. 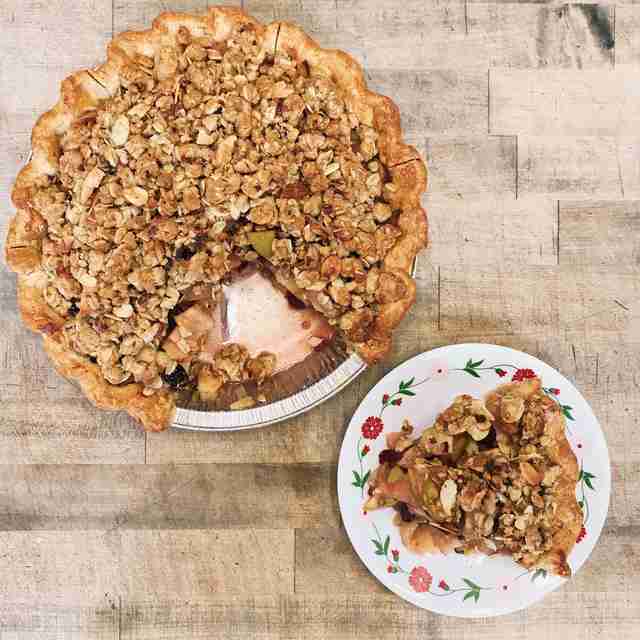 As she did at formidable bakery/sandwich shop Gjusta and at the enormously popular Smorgasburg food-cart ruckus, Rucker steals the show with pies. Here, Key lime gets an unexpected kick with the addition of sour cream to counteract sweetness. A rotating array of fruits fills her decadent, expertly crafted crusts. 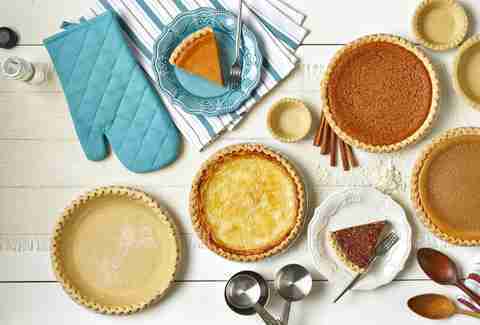 Chess pie comes in either chocolate or lemon form. Apple pie -- that signature of the LA scene -- comes topped with sugary crumbles. Basically, everything that comes out of the pastry case is a banger, be it cake, cookie, or bread converted into fancy toast (this is LA, after all). But especially the pie. Half the media outlets in LA have already dubbed Rucker the pie queen of LA. We happily join their ranks in paying that tribute. 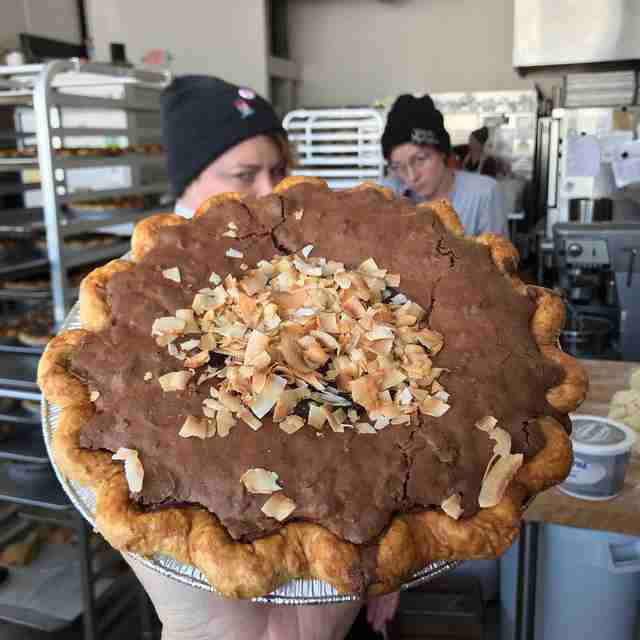 When sisters Melissa and Emily Elsen opened their Brooklyn pie shop in 2009 after building a following selling pies out of their apartment, it permanently changed the pie game in New York. A decade later they're still an essential stop for any New Yorker (or New York visitor, for that matter) with a sweet tooth, thanks to offerings like a brown butter apple streusel you'll want to have for breakfast (and dessert) until the end of your days, and their beloved (and trademarked!) Salty Honey -- a sweet-salty indulgence that also represents one of New York's iconic desserts. 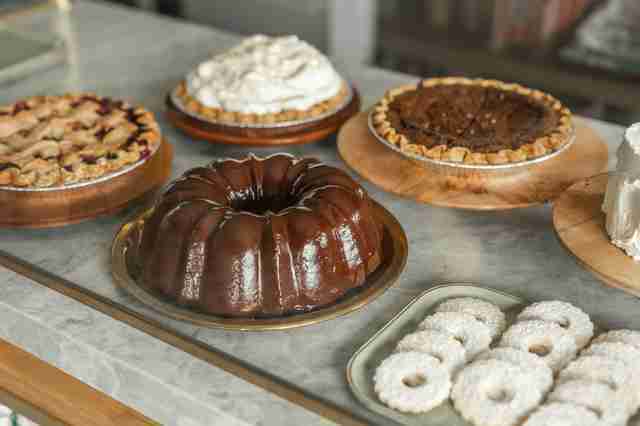 A throwback-style diner with a penchant for pie, Honeypie is a decade into giving the city of Milwaukee its pie fix, with its bakeshop turning out a dizzying variety of options. Some of them are a nod to Wisconsin culture (brandy old fashioned cherry, apple cheddar bacon), and some are just a nod to being delicious -- the luscious salted caramel dream isn't just an enticing name, you may actually have night visions containing it. 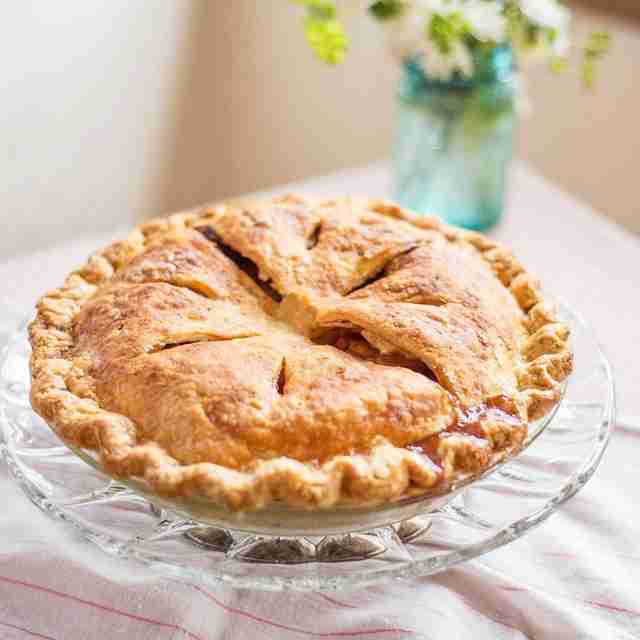 They also host a pie competition for home cooks in the fall, and if you're serious about winning it, perhaps take advantage of the fact that they offer pie lessons as well. I Like Pie is a shop that kind of says it all in the name. But instead of just liking their pies, customers love them, unequivocally -- and with good reason. 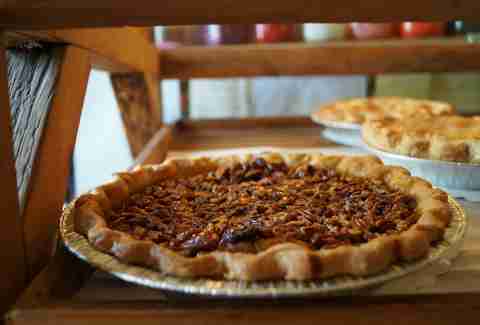 Established in 2012 and located in the cute, suburban Claremont village on the outskirts of Los Angeles county, the college students and retirees who make up the primary demographic of the city make their way to I Like Pie to get a sampling of fresh, ingenius pies, thoughtfully crafted and individually prepared. Their rotating menu features seasonal flavors like the comforting winter berry pie in the colder months, autumn inspired Dutch apple, and the sunny peach raspberry in the summers. 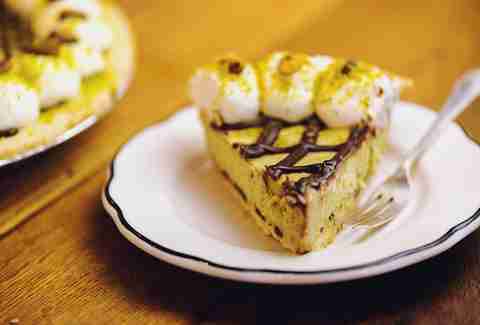 Their mainstays, including a nurturing chicken pot pie and delightfully indulgent chocolate chip chess, are worth a trip to I Like Pie alone. They’ve nailed down flaky crusts, graham cracker crusts, buttery crusts, and every fruity, chocolaty, custardy filling imaginable. If you’re driving to the West Coast on the historic Route 66, just know that pies from I Like Pie are the true treasures waiting at the end of your journey. 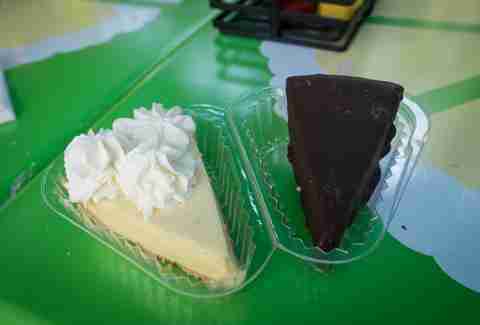 There are some that will argue that the best Key lime pie is actually found in Miami, at Joe’s Stone Crab. Maybe they’re right. But there’s something to be said for keeping it simple, and even more to be said about dedicating an entire small-town industry to one citrus fruit, as Kermit Carpenter has. This is Key lime pie at its simplest, with the perfect graham cracker crust, a sweet and tangy filling, and flowers of whipped cream allowing you to taste the freshness in every bite, divorced from pomp and circumstances. That’s not to say Carpenter hasn’t gotten out of the crust at all in his little Key West spot: Dude’s also got Key lime ice cream, a sweet & spicy BBQ rub, and a citrus salsa. But perhaps the best thing he’s pulled off is dipping frozen slices into chocolate and serving them on sticks. Simple pleasures are often the best… especially when you’re eating frozen pie-sicles on a beautiful beach. Because Portland is Portland, the city is swimming in restaurants that specialize solely in pie, from Pie Spot to Pacific Pie Co. and Random Order. But Lauretta Jean’s stands tall, with a little shop tucked amid the bustling food destination that is Division Street, seemingly transported there from some fancy remote farmland and plopped in the middle one of America's trendiest food hoods. Everything here is locally sourced and seasonal, including the apples scored from Hood River’s legendary “Fruit Loop” (it’s a thing) that find their way into heirloom apple, Dutch apple, and apple walnut pies. Cream pies dominate too, but the crowning achievement of the roster of old-fashioned favorites done right is the rich, coma-enduing honey pie, which comes either hit with salt or paired up with hazelnuts. Those are local too. Everything here is. Sugar cream pie is associated with Indiana as tenderloin sandwiches and race cars at this point, with nearly every cafe offering a variation and most families passing down a well-worn, hand-written recipe from generation to generation. But when the Wickersham family started firing out pies back in 1944, they became the gold-standard for the official state pie. Wick's has built an empire on these custardy delights (it'll ship all over), but like so many things, they're another experience altogether tasted fresh from the source. Trek out to the small town of Winchester (about 90 minutes west of Indianapolis) and you'll be confronted with 36 options for slices of display beneath the museum-like glass in an old-school cafe. The original sugar cream will certainly be there, but it's not alone. Cream pies range from peanut butter to pineapple. 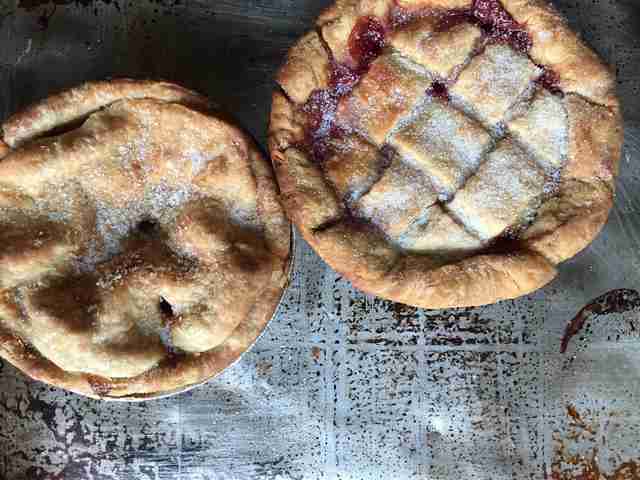 Fruit pies go from apple to cherry to pumpkin chess. And they change daily and with the seasons. Who knows, maybe they'll even have mince. Either way, there's also a full cafe, which serves tenderloin. And there's no more Hoosier an experience than following an oversized fried pork sandwich with sugar cream from Wick's. 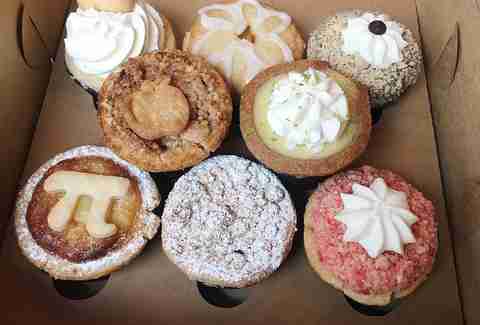 Muddy’s is one of the best bakeries own the entire country, thanks to such treats as their famed Prozac cupcakes, vegan-friendly cookies, and coconut macaroons. But the pies are perhaps their greatest creations. Nothing super crazy goes down in these crusts: just sheer, unadulterated bliss. The Nancy’s Boy is a coconut-spiked take on the chess pie, which also comes in chocolate form. 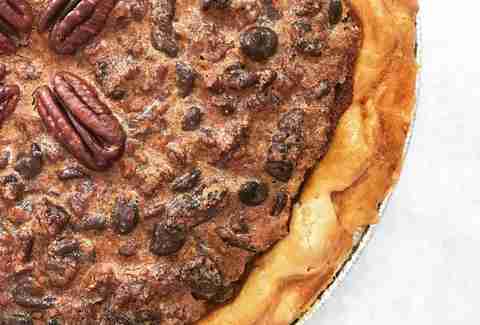 The Shady Wake makes a play for the best pecan pie on the planet. And the Chocolate Dream lives up to its name. They do a mean quiche, too, and offer up a variant on the oatmeal cream pie that will forever render lunch-box variations disappointing. Sorry, Debbie. Muddy’s wins. 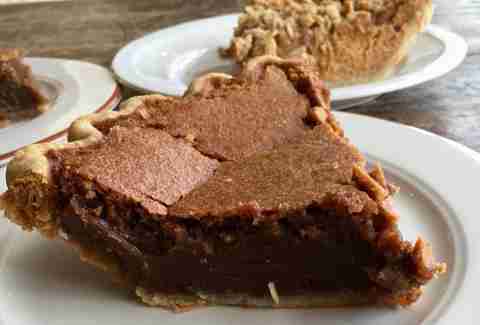 With locations in Brooklyn and the Lower East Side, Petee’s is essentially a pair of museums honoring the art of pie-making on the most local level possible. This is a place that sources every ingredient from nearby farms, right down to the grass-fed butter that goes into the crust. Fruit pies are the stars, highlighted by a wild Maine blackberry number and a NY sour cherry just begging to be sweetened up with a kiss from a scoop of ice cream. Chess pies get a lot of love as well, with the Black Bottom Almond offering up particular nuance, while nuts and custards round out what is essentially a parade of pie styles. Don’t sleep on the savory: the daily quiche is out of this world, and the hearty chicken pot pie is pure comfort packed into a flaky, buttery crust that will warm even the hardest heart in the dead of a New York winter. In the South, pie is king. When you're staring down a massive plate of BBQ or some buttermilk fried chicken at a family-style dinner, you're often thinking ahead to pie, which is really saying something. So when we say that Pie Lab is one of the best pie spots in the South, it should really mean something. It's a feat they accomplish not only by creating insanely delicious, often unexpected, chef-driven pies, but by doing so in a community-focused restaurant that really hammers home the idea that pie brings people together. You won’t get to be part of that if you get it delivered, but you’ll feel the love in every bite, whether you opt for the Coach’s Favorite Oatmeal Cream Pie -- a creation that really goes a long way in making Little Debbie seem tiny -- or a carrot cake pie complete with cream cheese icing, the immaculate apple crumb, a rich brown sugar/buttermilk number, or a take on pumpkin pie that brings things up a notch courtesy of praline on top. If somebody brings one to dinner, it'll arguably be the best thing on the table. Unless somebody else brought one of their pies. In which case… good for you. 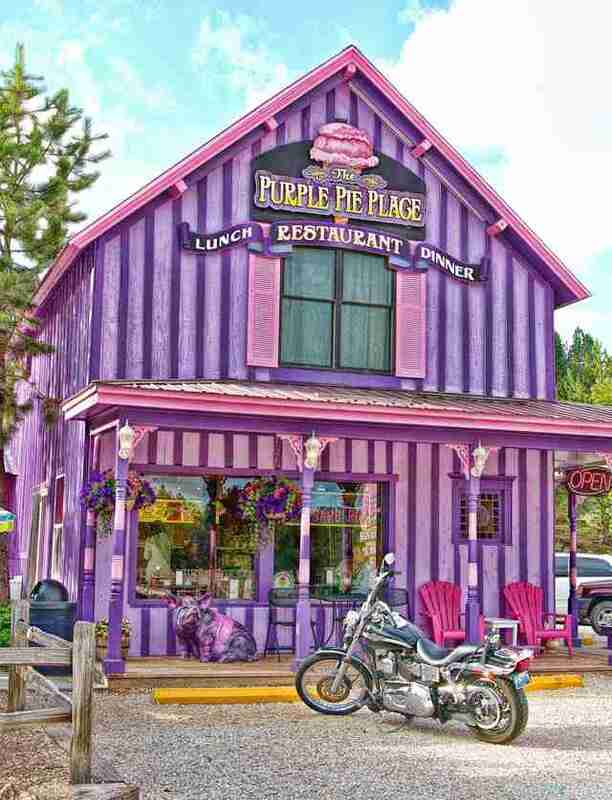 America is littered with adorable, delicious little roadside pie shops, so what sets Purple Pie Shop apart? Well, said roadside is in the main artery of one of America’s best and most underrated roadways: in the shadows of the Crazy Horse monument, winding through the Black Hills and the Needles Highway. The funky, quirky little house -- which is only open in summer and fall -- sticks out like a sore thumb, adorned in enough eye-popping purple to warrant a visit from the ghost of Prince. And the pie follows suit. Standards like the strawberry rhubarb, blueberry, and blackberry alone warrant a spot here, cramming immeasurable flavor into a flaky, butter-forward crust. But then there’s the legendary raspberry rhubarb jalapeño, which brings a little heat to a classic, offering an explosion of unexpected flavor. On a roadway chockablock with dinosaur museums, caves, and Rushmore museums, it’s the tastiest pit stop imaginable. Plus, you get to learn what bumbleberries are. By eating them in pie. That alone is worth the trip. If the good people of upper New York have taught us anything -- besides how to best enjoy chicken wings —--it’s that you can’t immediately discount a food that evokes garbage. But with respect to the storied garbage plate, the folks in Texas have managed the single greatest culinary delight that’s named after refuse. 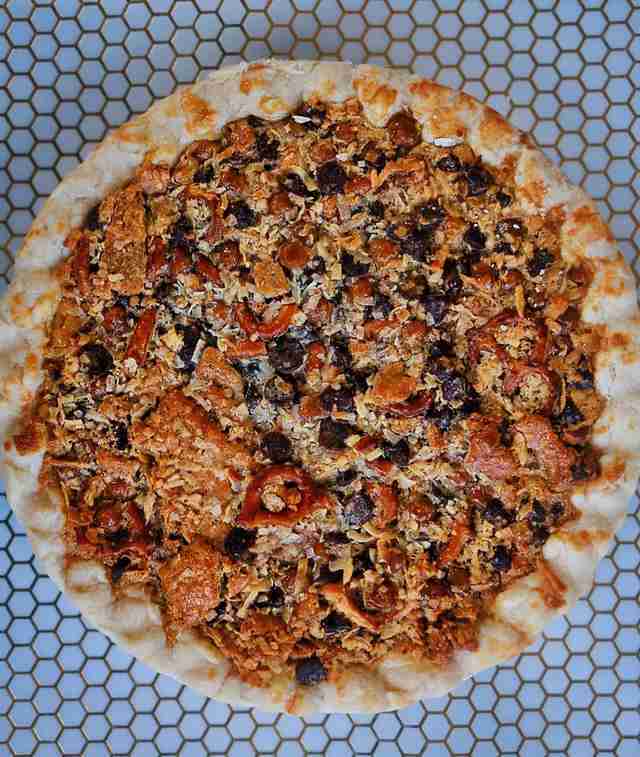 Royers in Round Top has become world famous on the strength of their Texas Trash Pie, which makes the choice between candy and pie easy by loading its crust with graham crackers, pretzels, caramel, chocolate chips, coconut, and more. It's not all trash: they make a variation with white chocolate too, along with a stellar butterscotch chip pie, which might represent the most underrated of all chips. But really, get the Trash. You can always eat that butterscotch as a chaser. Boulder is known for being a fantastic place to experience the outdoors. Sadly, Shamane’s Bake Shoppe is not located on top of a mountain, and hummingbirds do not deliver slices of sweet potato chocolate ginger pie. We’ll be real: it’s in the back of an industrial park. But sometimes the best places are tucked away, and inside you’ll find an adorable 20-seat cafe, packed with the town’s many tech company employees filling up on savory pies like the uber-popular chicken pot pie, plus extremely Colorado selections like the egg-packed breakfast pot pie with green chile or bison-filled pasties. If they’re smart (and they are, some of ‘em work for a company that rhymes with Frugal! ), they’ll finish the meal with more pie -- from flaky, delectable cherry mini pies, chocolate walnut bourbon espresso Derby pies, or apple wildberry galettes made with that ultra-rich European butter that piles on the decadence. All of its sweet pie fillings are constantly rotating and many come from local farmers, which is convenient considering Shamane’s mini pies are staples of the summertime Boulder Farmer’s Market. If you crave a large slice of something nice, the sea salt caramel apple crumble is often available a la carte; once you discover how well sea salt combines with a thick crumble on top and a plethora of apples below, you’ll wonder why apple pie is ever baked without it. In Michigan, cherries are the undisputed king of pie fillings, which makes perfect sense given the sheer number of orchards. So if you're driving around upper Michigan and smell pie, you're in good shape. 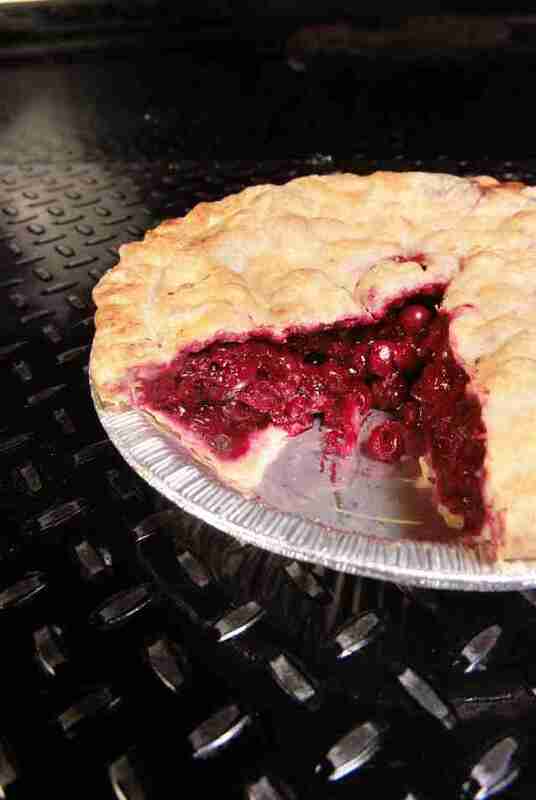 But there's a good reason that Sister Pie has become a sensation, and it's not courtesy of the cherries. (Though, yes, they do wonderful things with those too.) The Detroit bajkery has exploded into national renown and even dropped a cookbook after a few short years thanks to the innovations they put between their transcendent, buttery, layered crust, which is the MVP of the operation. Seriously, you could just chomp on crust all day. But don't. Because you'd miss out on the standout salted maple, which stands tall on a menu that rotates options like honey lemon meringue, sweet beets, and whatever else comes to the chefs’ minds. Grab some cookies, too -- the fennel-seed snickerdoodle is a beast -- and some meaty hand-pies, the ingredients for which are obsessively sourced from local farms. Strawn’s is one of those magical Southern institutions, a timeless old-school diner where the hash browns are always crisps, the omelets could feed half a family, and the burgers are thin, dripping, and crowned with golden American cheese. More importantly, this might be the very best diner pie in the south, which is really, really saying something, considering the regions love of all things crusted. Here, ice box pies reign supreme. There are five standbys to choose from here: strawberry, coconut, butterscotch, banana, and chocolate, plus the seasonal peach. Regardless of your choice, it will be cold, indulgent, decadently sweet, and come buried under a few inches of rich, homemade whipped cream. Same as it’s been for decades. When architects Bill Bowick and David Bouffard left New York (and architecture!) behind to seek a slower pace and much, much more baking in Charleston, New York's loss proved to be South Carolina's gain. Since opening in 2007, Sugar Bakeshop has become a Charleston fixture, with an impressive commitment to seasonality (full pies are made-to-order and only four -- buttermilk, lemon meringue, pecan, and chocolate bourbon pecan -- are available year-round). 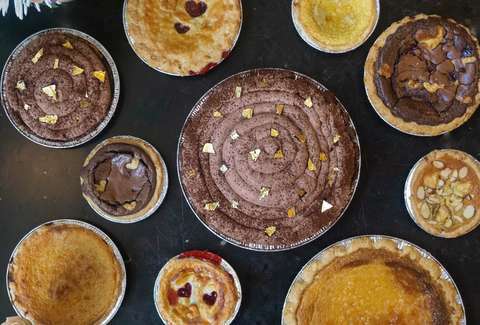 If you don't have the room or time for a full-on pie, don't miss the tart selection: They're like mini pies that let you eat more than one in their entirety! When you're serving pie in Maine, which Two Fat Cats has been with aplomb since 2005, your blueberry pie game had better be on point, and theirs is -- flaky, juicy, with just the right level of spice commingling with the sweet berries. But don't let your blueberry-related exploration stop there, or you'll miss the (seasonally available) New England Bog Pie, which brings cranberries (of course) into the mix, along with a hint of chocolate. But hey, just because their sour cherries come from Michigan doesn't mean they don't nail that, too! You're in good hands here wherever you land on the fruit/cream pie spectrum. Lee Breslouer, Andy Kryza, Matt Lynch, and Kat Thompson had extra dessert to bring you this story.